Why is Case Management important to Digital Transformation? Today’s digital business operations drive continuous interactions between people, processes, technology and information. Many organizations manage these interactions using cases, from customer on-boarding, to HR processes, service requests and decision approvals. Mastering and automating the processes that drive these cases to completion is a critical element of digital transformation for many organizations across the globe. 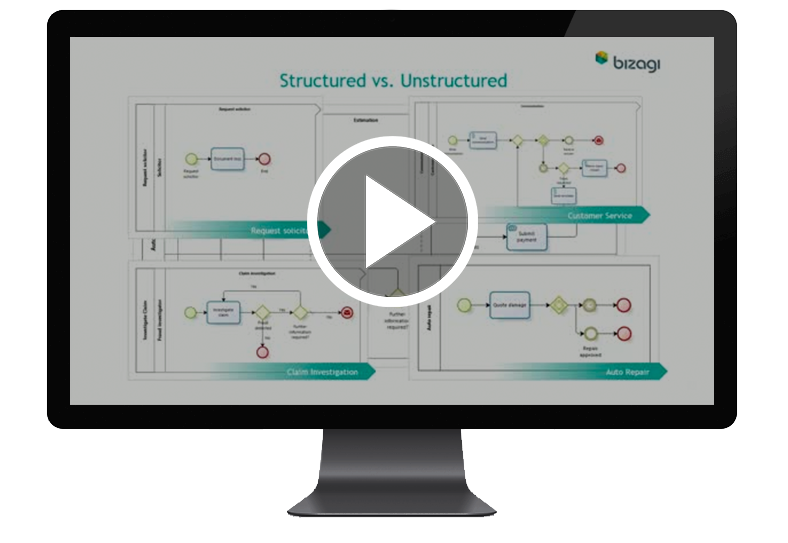 Bizagi provides a flexible approach to non-routine work processes (cases) by coordinating knowledge, content and resources in a goal-oriented fashion. Cases bind together individual and structured process instances into a single case. Cases can be started from a process instance perspective, or from external sources (systems), to be triggered automatically by changes in data or by the conscious decision of a stakeholder. The Bizagi platform supports all types of work processes. Case & Decision Management: More than Buzzwords?